In '01, Summit High School was set to open. Bend's growth continued to ramp up—but that didn't translate into fully funding local schools. Between 1990 and 2000, the student population in Bend-LaPine grew from 9,458 to 13,022 students. In 2017, it's 18,034. Before the last bell rang on the 200-01 school year, members of the Bend-LaPine School Board and administration pored over budget proposals for the upcoming year. What they were attempting was to distribute monies in a fair and thoughtful manner in our rapidly growing school district. Despite their best efforts, the proposed budget fell short of what the district will receive in funding to the amount of $2.4 million. The budget committee was then sent back to the drawing board to identify priorities and make cuts. In order to do their best in the face of a shortfall, the budget committee set priorities. The first was to meet the obligations of salary and benefits for employees. And, although no positions were cut, some educational assistants will see a reduction in hours. The move was not made without resistance, and a hearing with the union is set for December. In addition, the school board is planning to make a vigorous two-pronged attack on the problems that plague the district. The first is to pass a bond that will grace voter pamphlets this November. The bond, which was tentatively placed at $47.5 million in the Sites and Facilities Study conducted by the district, will be used primarily to expand current facilities and to purchase new land for future sites. In addition, the money raised will be used to construct additional elementary schools in the area. "Kids simply need a good environment to learn in," says School Board Chairman Ron Paradis. "The schools now are just too crowded, particularly at the elementary level. We've been able to alleviate some of the overcrowding, but more work needs to be done." Taylor Fowles, a high school senior, would agree. "The facilities at Bend High are sufficient, but old," he says. "Most things work well enough, but it's a real hassle when the heater breaks down in a classroom. Especially the way it did this past December." For Bend-LaPine School District, 57% of their General Fund will come from the State of Oregon for 2001-02. This figure varies from year to year based on enrollment and various other calculations, including new budgetary appropriations or cutbacks. Last session, legislators approved a bill that will eventually equalize state spending in Oregon school districts. As a result, Bend-LaPine state dollars went from $123 per student to $162, while Multnomah County's monies decreased to $365. The redistribution of the state funds is to take place over the next five years, but each year as the budget is hashed out, the plan is at risk of being reworked or eliminated. Our local representatives must continual fight against the PGE (Portland Gets Everything) mentality to help our schools and other programs remain adequately funded. The other significant portion of the Bend-LaPine General Fund (34%) is provided by local property taxes. Because of the increase in property values in the Bend area, property tax revenues have continued to steadily increase. The bad news is, the increase has not kept up with the population and subsequent overcrowding of schools. Despite the opening of two new elementary schools last fall they are full and the problem still exists. And, with a record number of births in Central Oregon this summer alone, the problem will not disappear soon. In addition, Bend-LaPine may have to soak up more of the future construction costs, as President Bush's 2002 Education Plan calls for elimination of $1.2 billion in federal funds for school construction or renovation. 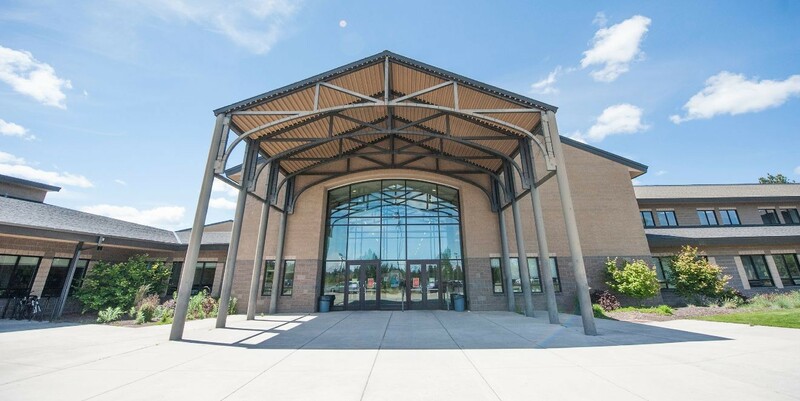 Beset with these financial thorns-in-the-side, the Bend-LaPine School District has put on a happy face and pledges in its budget message to "become the best school district possible—maybe the best in Oregon, the Northwest, and the nation." Unfortunately, the money that is needed to perform the needed improvements is not yet guaranteed. This bond is coming right on the heels of the $57.5 million bond that voters passed in 1998, and more money may be needed as soon as 2006. However, if there is to be progress in the way that the school district operates, passage of this bond will be necessary. "What many people don't realize," says Paradis, "is the the passage of this bond will actually save them some money. The district has been doing a good job of using the money that it has at its disposal lately. More than half of the money for this bond will be used to expand current facilities, thus making them more efficient. Plus, if we buy the land now that we will need later, we will be able to purchase it at a lower cost." Adds fellow school board member Carolyn Platt: "The land that is available for us to build new schools on is disappearing fast. If we buy it now, we will be able to save more money than if we wait until the last minute." he second prong of the school board's attack rests upon the District's Strategic Plan, which was finalized in May and approved by the board earlier this summer. The Strategic Plan itself is an incredibly ambitious agenda for the next five years that will address a broad range of issues, from technology application and standardized testing to community involvement and character development. This year, the first of over sixty "action plans"—proposals made by volunteer teams that aim to achieve the goals set for the district by the strategic planning team—will be implemented, and, by June, the public should be able to observe and appreciate these actions for themselves. According to Platt, who served on the Strategic Planning team prior to becoming a school board member, "The Strategic Plan is going to be the driving force behind the school district. This year we will be doing a lot of research, data gathering, and assessment." "The strategic plan is really going to give the school district a vision," says fellow school board member Teresa Christiansen. Another budget item that could not be ignored was the transition for the district to a new data system. The systems tracks everything from attendance to payroll. The old system, OTIS, has been phased out by the state. Pulling in other directions are the opening of Summit High School and the looming increases in energy costs. All the while, the district aims to maintain class size reduction efforts in primary grades, accommodate growth, provide program equity between schools, and support the district reorganization. The reorganization will expand the position of the LaPine High School Principal to include supervision/coordination of elementary and middle school programs, and act as a liason to the district office in Bend. espite all of the progress made by the district over the past several years, two facts remain painfully clear to anyone who is involved with public education in the area: That the district's population continues to grow at an alarming rate, and that its resources remain scarce. Between 1990 and 2000, the student population in Bend-LaPine grew from 9,458 to 13,022, a growth of over 3% a year. This trend is not expected to cease anytime soon, with estimates for the population exceeding 20,000 within the next twenty years. In addition to a rapidly growing number of students, the district is also experiencing a diversifying in the type of students it serves. There are now over 800 minority students within the district, and although they still only comprise barely 5% of the total student body, their numbers are expected to continue to grow in proportion with the rest of the community. Although this diversification is in many ways welcome, it does present some additional challenges for the district. For example, by 2000 there were over 150 students in the district who were counted as ESL (English as a Second Language) learners. Unfortunately, this is not the only growing pain suffered by the district over the past several years. The district serves 1,631 special education students (12.5% of the total student body), 1,350 Title I students (10.4%), and 4,128 students qualify for free and reduced meal prices (31.7%). Obviously, there are some serious demographic issues for the district to address with the few resources that it has at its disposal. However, these limitations have not prevented the district from devising a plan to confront these difficulties. Over the course of the next five years, several actions will be taken to attempt to increase the productivity of the area's students, such as the expansion of the family access network and increased opportunities for ESL students to meet set standards. Another factor that needs to be addressed in the near future by the district is that of the use of technology in the schools. With the rapid advancement lately in the use of technology in day-to-day life, learning how to use it has become ever more crucial. Says Chris Burley, an incoming senior who is computer literate and has had some contact with these technologies at school, "I just wish that we would receive a huge jump in technology throughout the entire school and integrate a more tech-based curriculum." Although there are plans within the district's Strategic Plan to introduce more technologies into the curriculum as a whole, they are not scheduled to take affect until the 2003-2004 school year, at which point the entire landscape of the tech industry may have changed. There is at least one area, however, where the Bend-LaPine district is not short on resources. This is in community involvement. Every year, over 1,000 individuals volunteer their time and donate their resources to the district. Brieana Tobey, an incoming senior at Bend Senior High and a member of the student council there, says that "the funding from the community has been great, but I don't feel that there has been as much parental involvement as possible. Every year it seems it gets harder to raise the money that we need in order to be able to do the activities we want to do. As a result, a lot of these activities have been denied over the years." Luckily, for once, there are few plans for more cuts in the budget. "Even though we had to trim $2.4 million this year," says Paradis, "it should have little effect on the students themselves. We've managed to maintain our teachers as well as our programs." It's impossible to look at where the Bend-LaPine School District is now, where it has been in the past, and where it plans to go in the future, and not to feel at least some shred of optimism. Yeah, we have our fair share of problems, and there are definitely obstacles between where we are and where we want to go, but it is easier than it seems to overcome these. Between a laid out Strategic Plan, a proactive School Board and administration, and an involved and enthusiastic community, it is more than possible to find the solutions that we need. The key, of course, is in the involvement. Part of the Bend-LaPine School District's mission is to be a dynamic and engaged part of the community. In order for this to happen, the community must be a dynamic and engaged part of the Bend-LaPine School District.